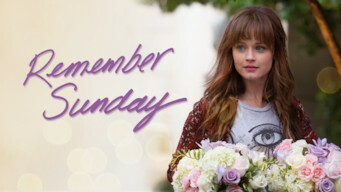 How to watch Remember Sunday (2013) on Netflix India! Yes, Remember Sunday is now available on Indian Netflix. It arrived for online streaming on April 15, 2019. We'll keep checking Netflix India for Remember Sunday, and this page will be updated with any changes. Lonely waitress Molly meets a handsome and quirky man. Once she gets to know him better though, she feels that he is hiding something from her. If you met the love of your life, you'd want to re-live that moment forever. He does. Every single day.